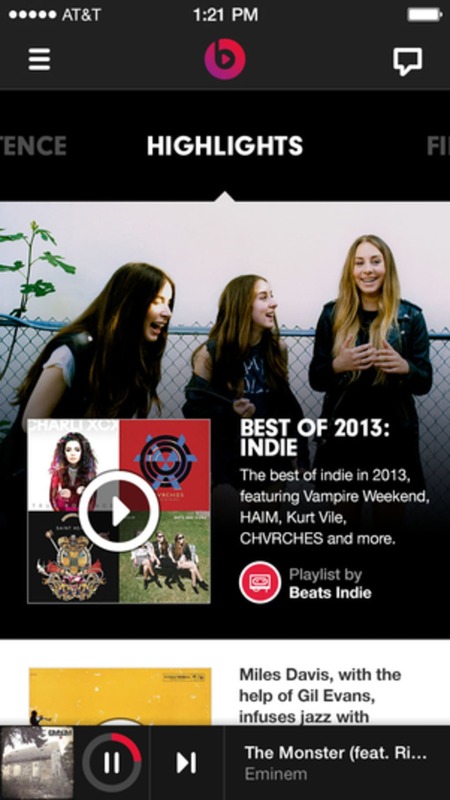 Beats Music has entered the world of streaming music, but takes a risk by not offering a free option. 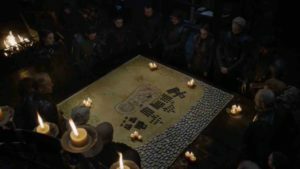 The premium-only service offers "highly" curated playlists from an internal team and also established brands like Pitchfork and Alternative Press. 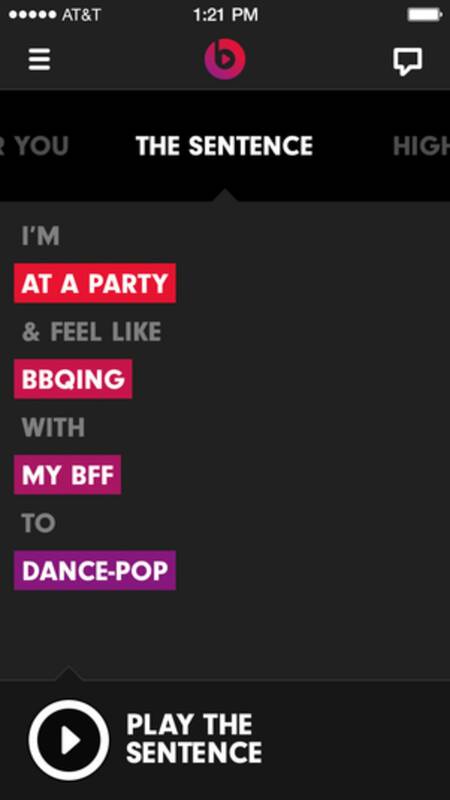 Beats Music promotes an interesting idea, but the paid-only option leaves little reason for people to leave other services like Pandora or Spotify. 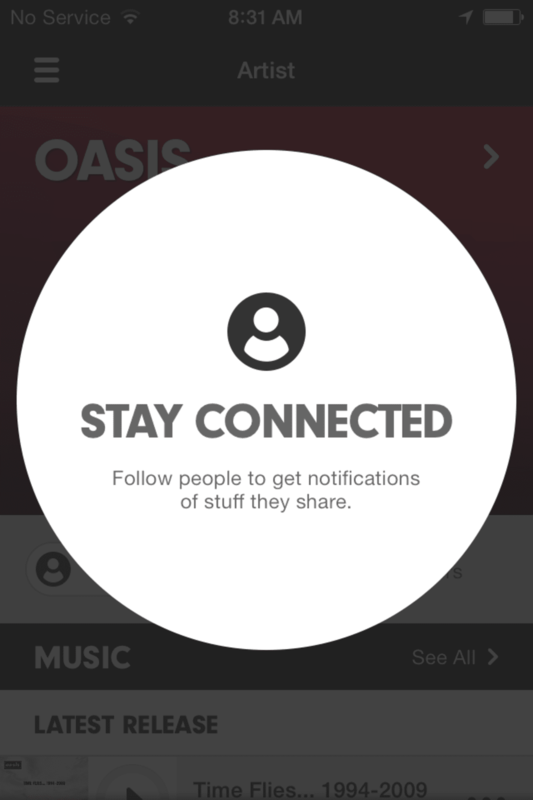 The core of Beat Music is to promote content rather than listening to specific artists. This becomes obvious when you try searching for specific artists, a feature that is hidden in the sidebar. 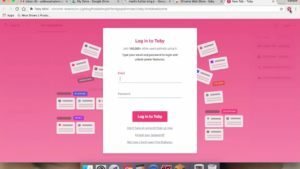 Signing up for the service is full of bugs and signing up through the website was the only option that worked for me. 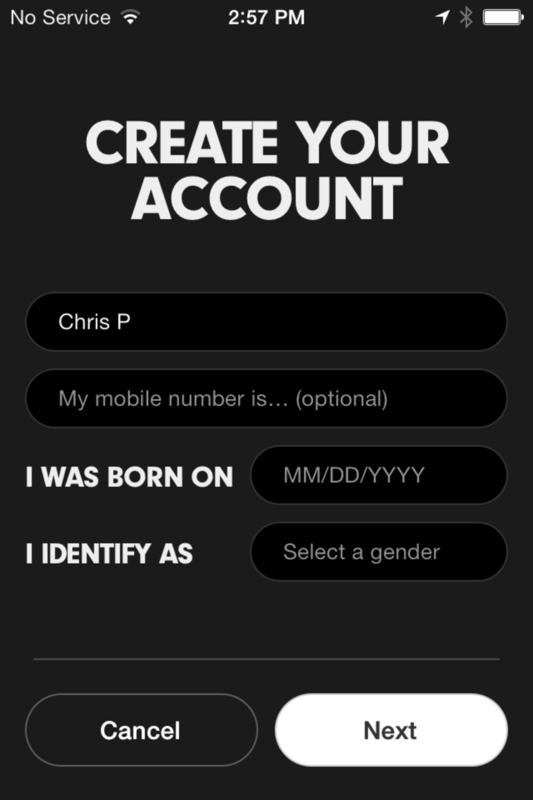 Attempting to sign up through the app resulted in emails being locked from use as well as the app not activating email accounts and sending the verification email. 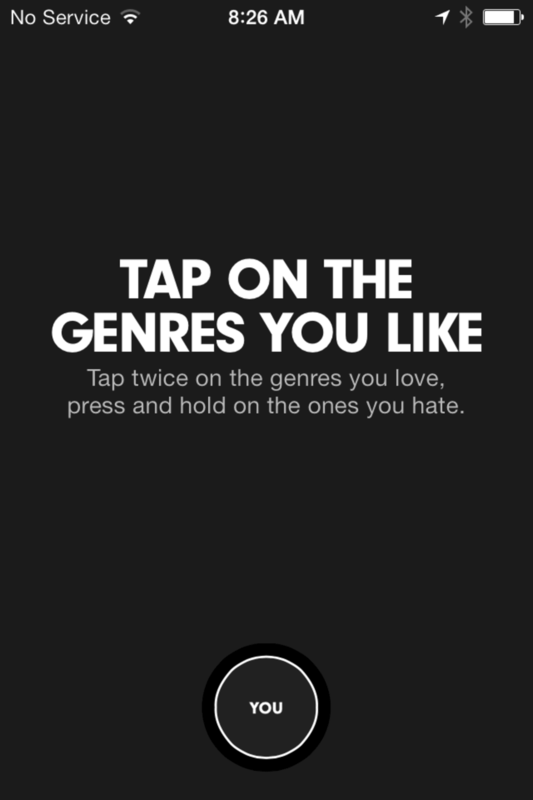 Once you're actually able to use the app (if it hasn't crashed yet), you choose genres that interest you, then specify specific artists you like. While you are only required to choose three, you can select more. 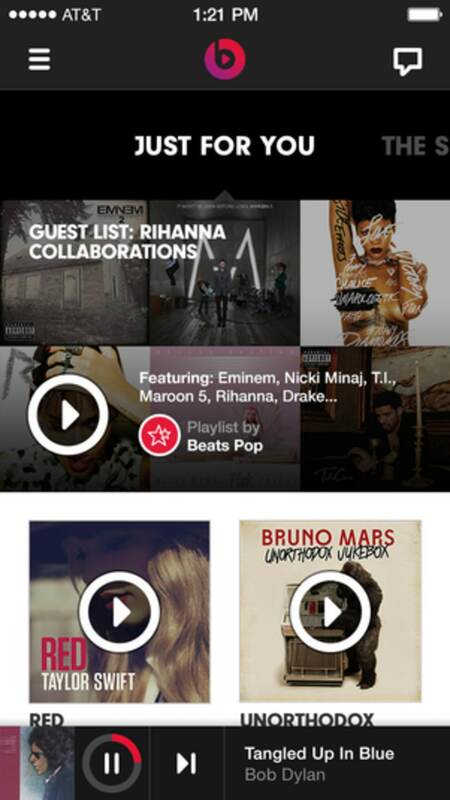 It's unknown if this actually increases Beats Music's ability to collate more relevant artists. 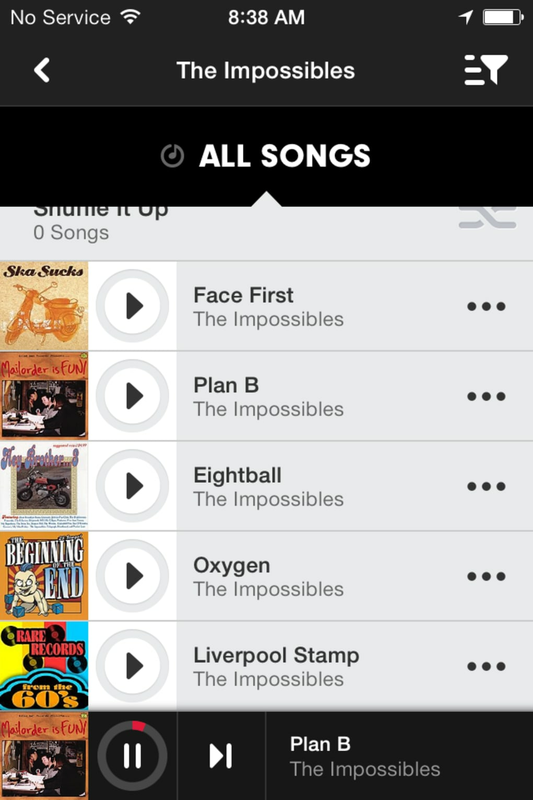 The homescreen of Beats Music is where the app gives you "choices." In reality, this feels more like promoted content. 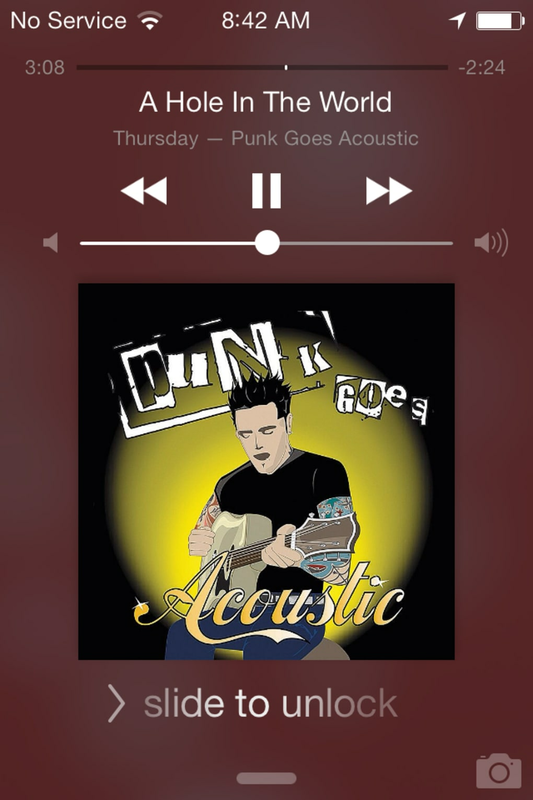 Even when I deselected an artist among those that I disliked, they still showed up on the "Just For You" homescreen. 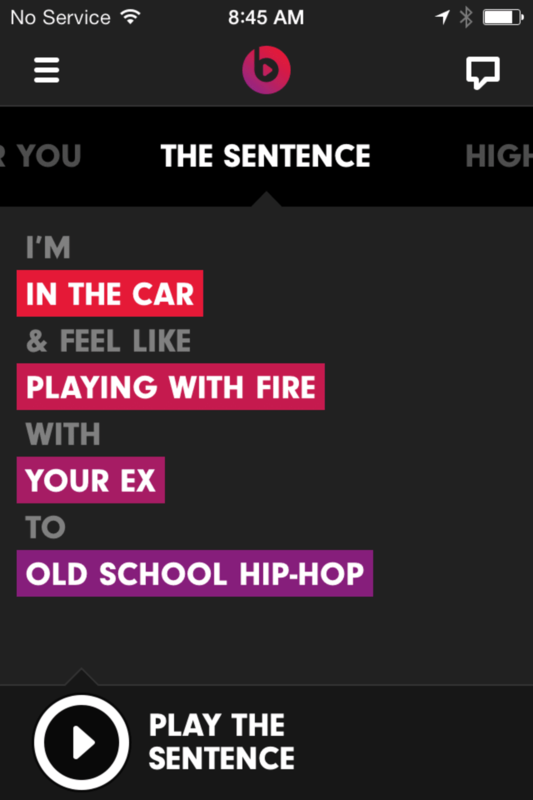 "The Sentence" is where you choose from predetermined phrases like location, mood, who you're with, and genre that you want to listen to. 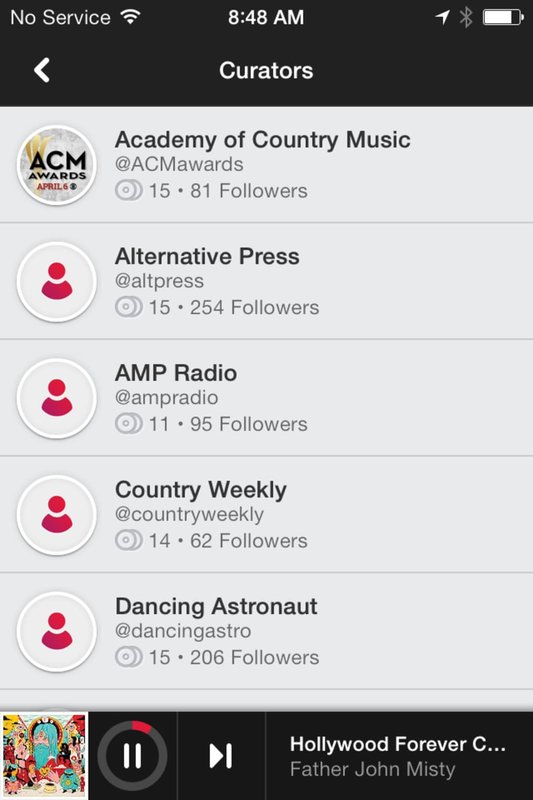 After selecting these variables, the app will start a playlist of relevant artists. 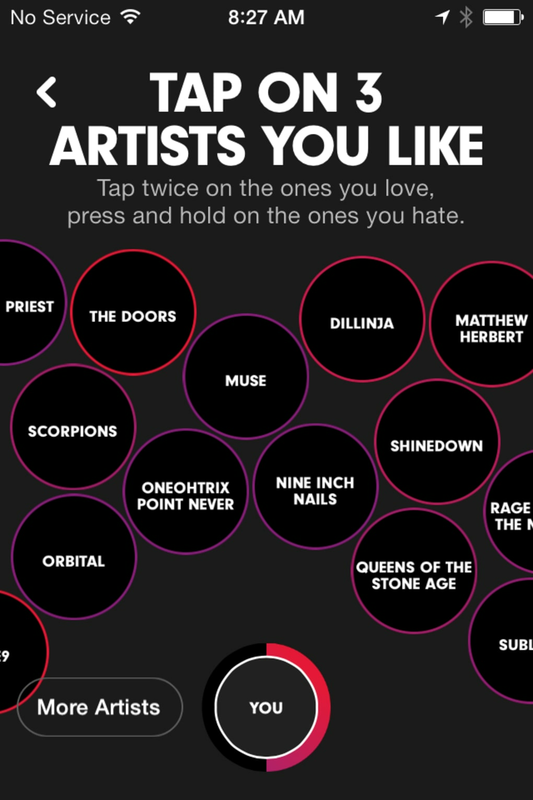 It's assumed that these are carefully selected songs that fit the algorithm that Beats Music uses to provide the right music. 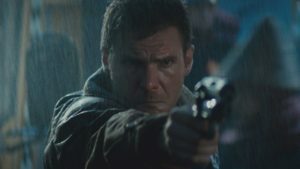 "Highlights" is a section that looks the most like promoted content. 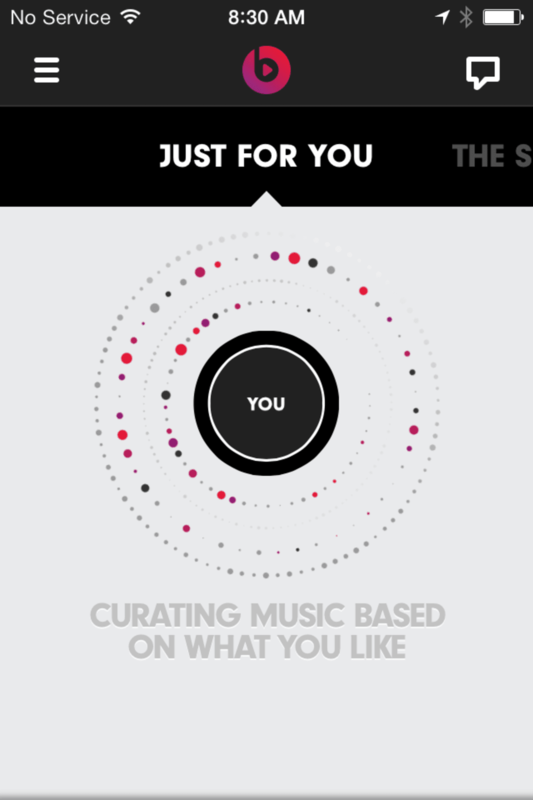 Beats Music could stick a lot of playlists here that are curated by brands. 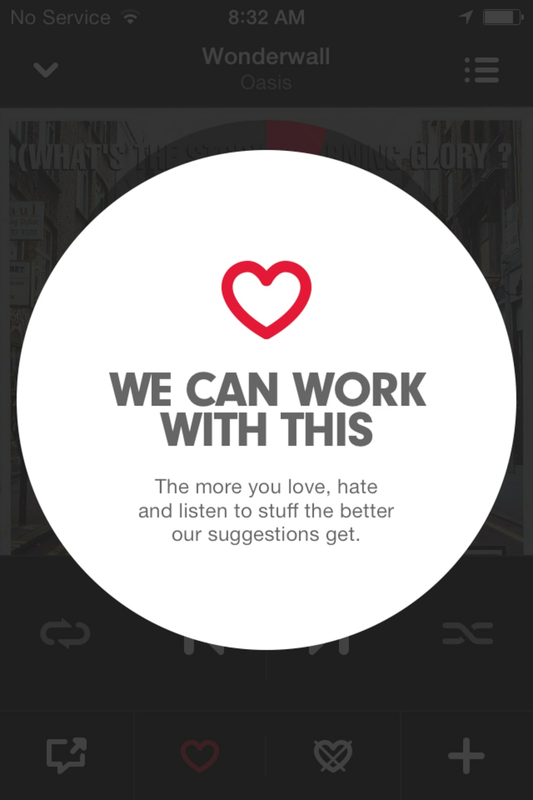 The recommendations sit outside of your preferences so it will likely not populate with your music choice. 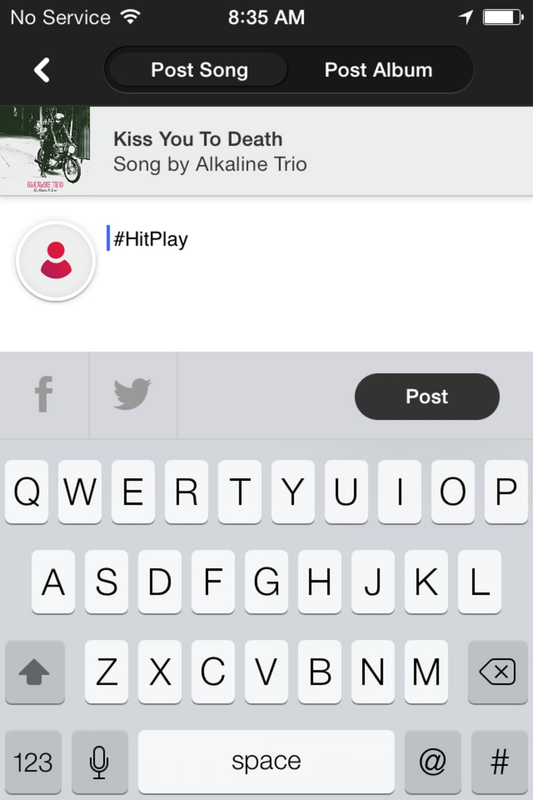 You can create personal playlists from songs that are in other playlists or searched through the app. It also has a section for subscribed playlists. 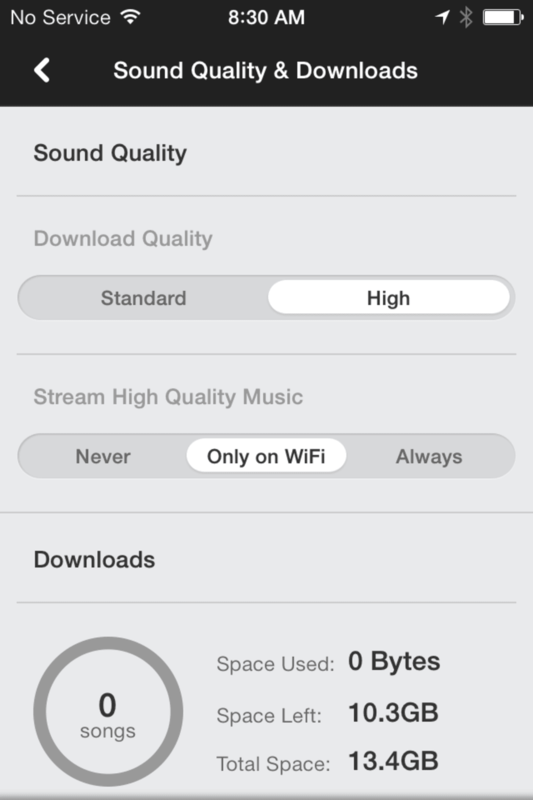 Beats Music's settings provide options for sound quality, download quality (for offline playback), and shows the available space on a device. 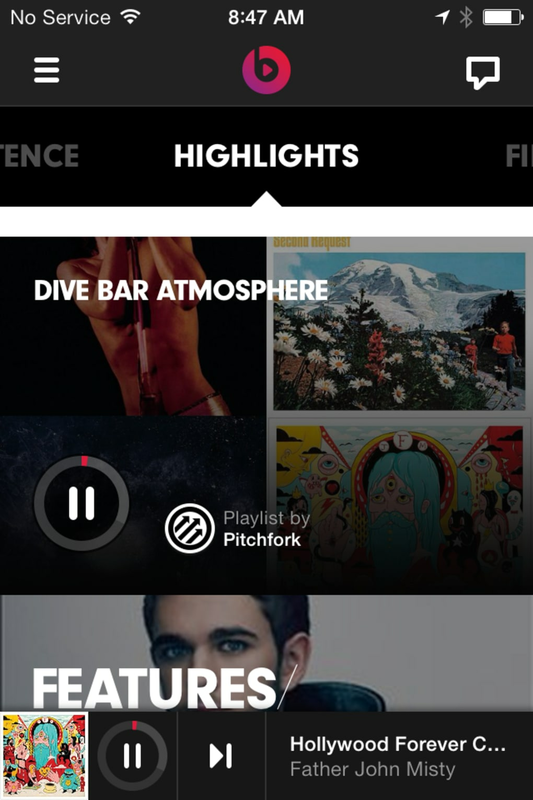 Beats Music wants you to focus on playlists. 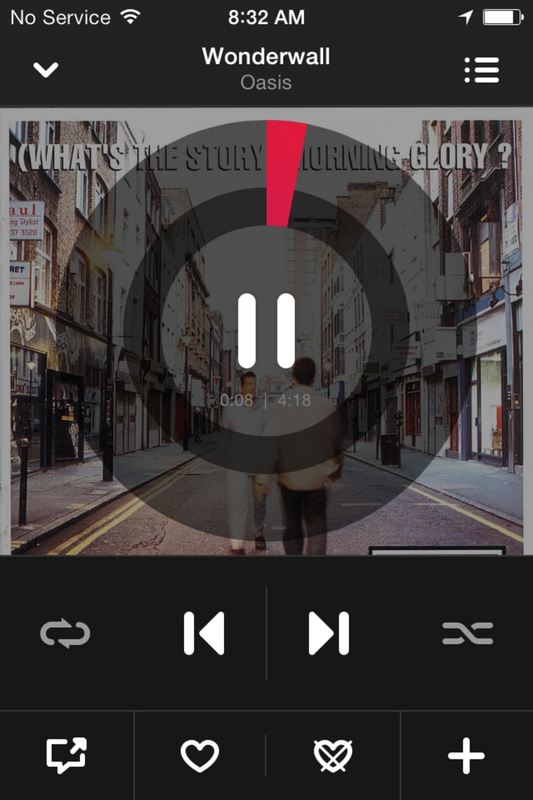 This is shown by the fact that the main homescreen give no option for search. 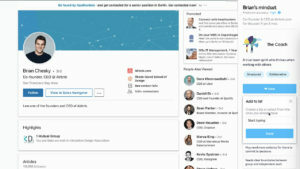 You have to open the sidebar to search for artists. 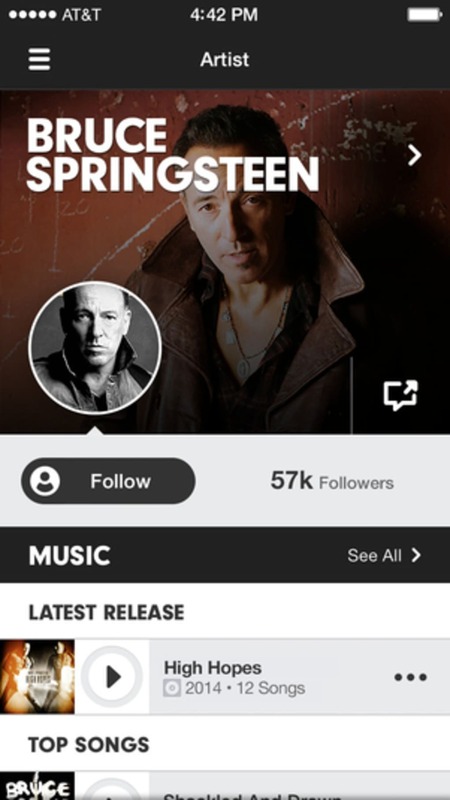 With 20 million songs, the service will likely have all the most popular artists throughout the years. 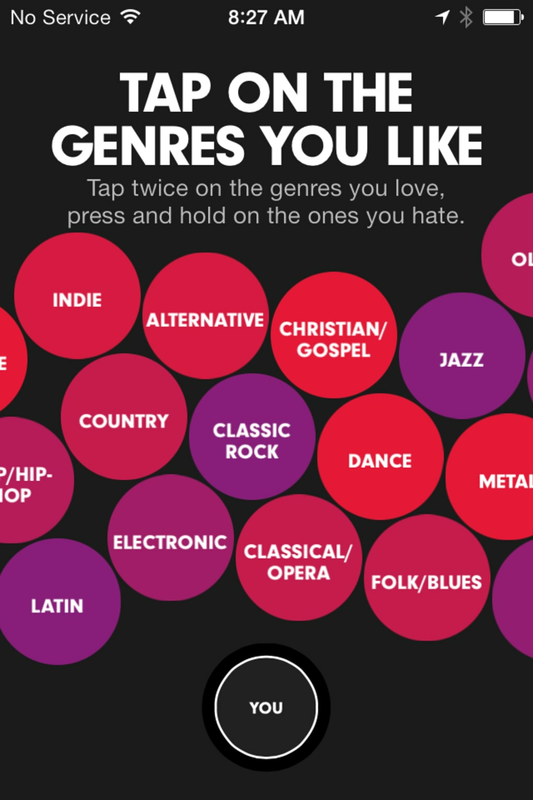 When you start looking for more obscure favorites, you might be disappointed because Beats Music doesn't have the rights to have those songs. However, it was surprising to find songs from bands and musicians I didn't expect the service to have. 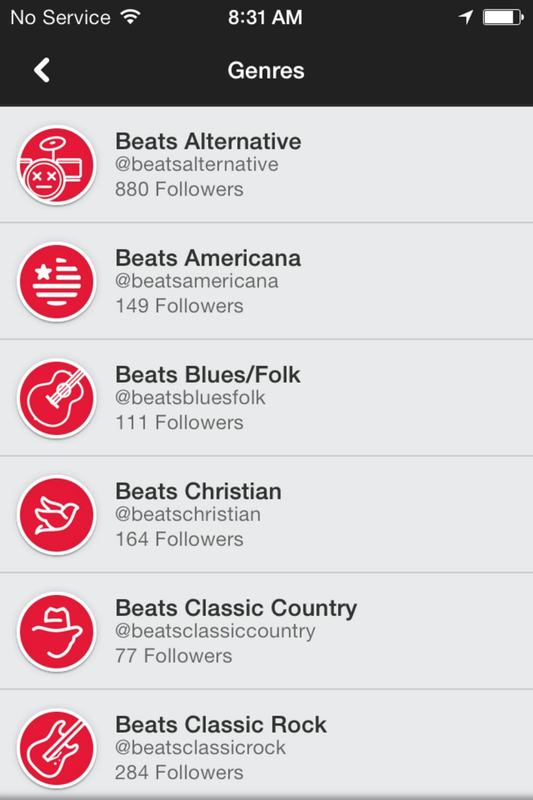 Searching for individual artists is annoying and the overly visual design of the app makes navigation frustrating. 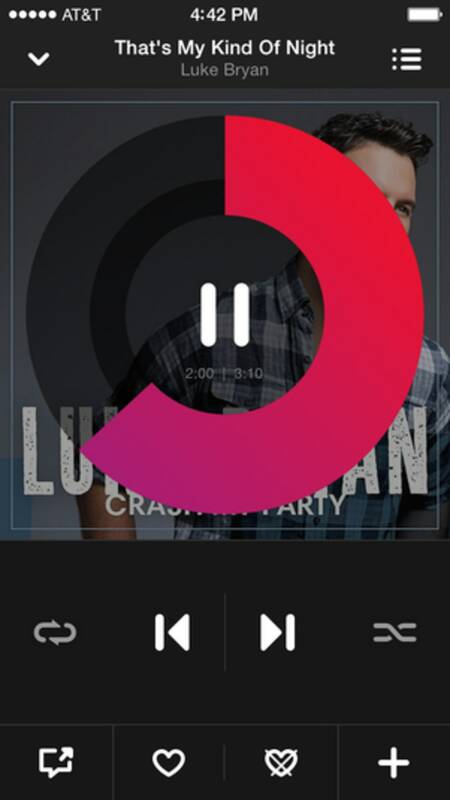 Add in the fact that Beats Music has a tendency to freeze during playback (while still playing a song) or to crash randomly, and it gets a little tedious at times. The app still has some big bugs that need to be fixed ASAP, as they seriously interrupt the service. 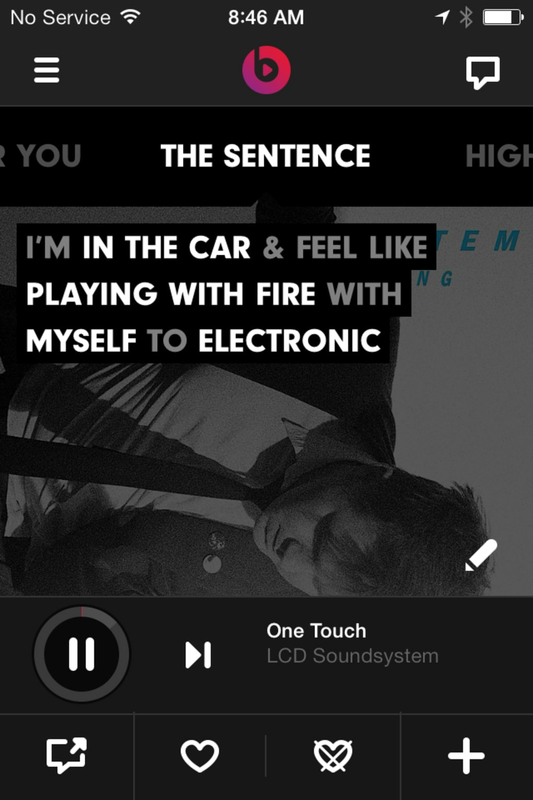 There's no definitive reason why anyone needs to jump to Beats Music right now. 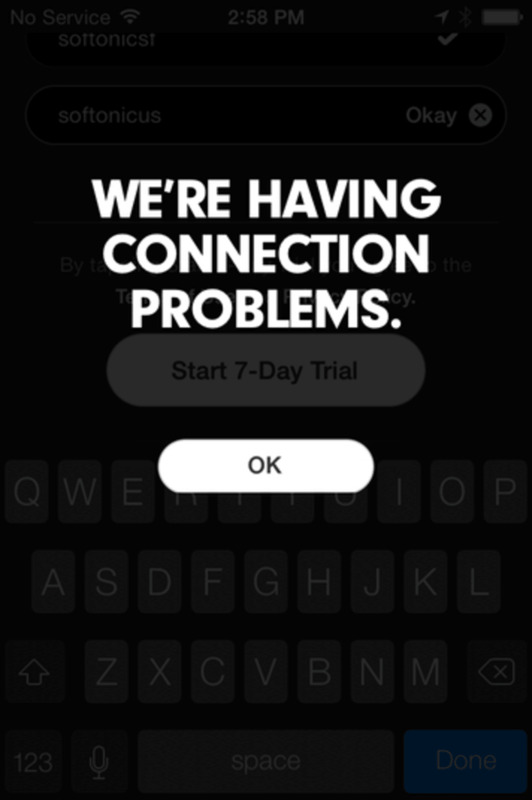 The app has connection issues and the random crash and freezes get frustrating rather quickly. 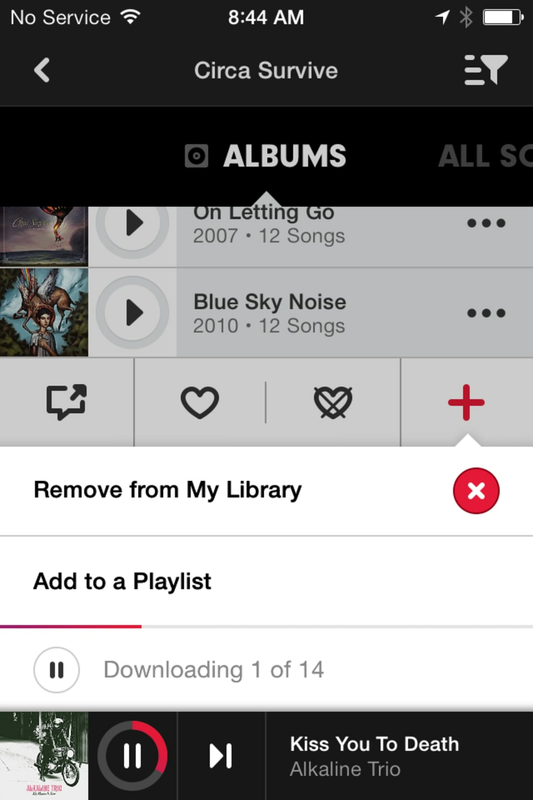 The library is comparable to other streaming services, but there's no incentive to pay for curated playlists by Beats Music internal team or external publications. 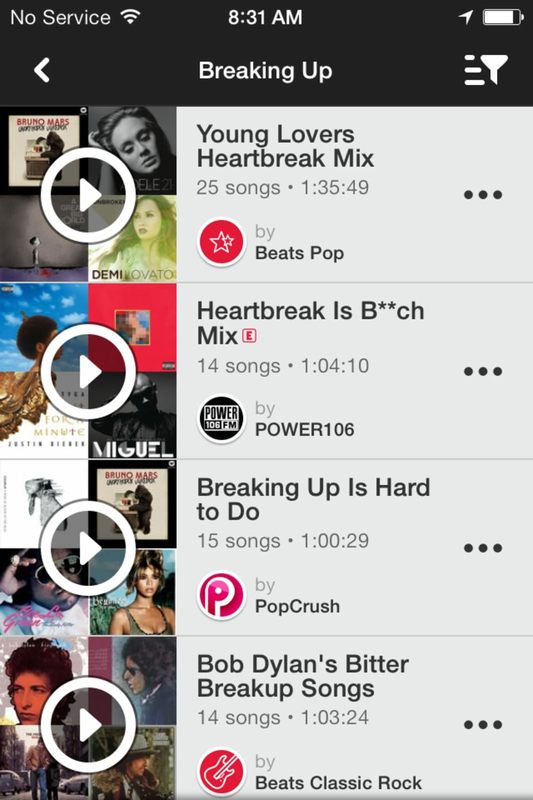 Maybe in the coming months, Beats Music will reveal its strength, but right now the service provides nothing new. 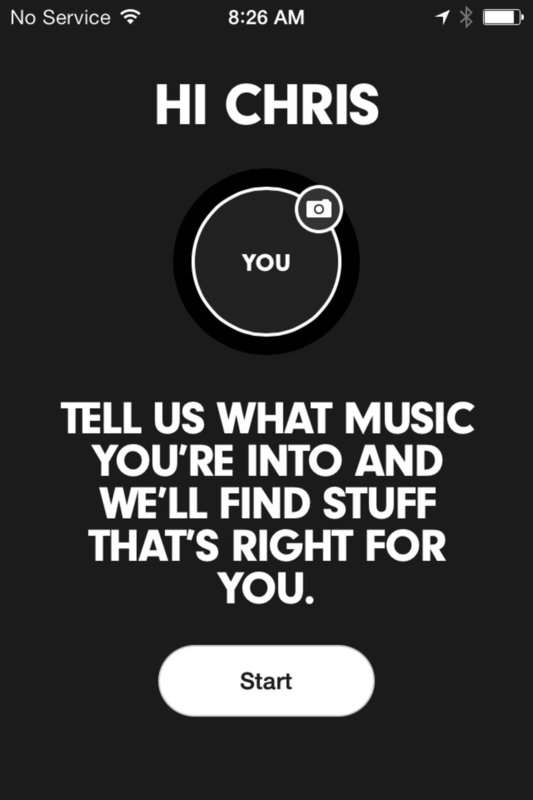 The new kind of streaming service that combines the best music experts and technology to always deliver you the right music at the right time.